Facebook social media has been the choice of many and because of that, many tends to find out some of the features embedded into it, whether free or premium feature, so as to enjoy more of the services Facebook is rendering to users. Today, I will be showing us some tricks on Facebook social media chat, on how to use premium facebook extension for free. This trick was initiated by missingtricks, so TechBmc is thankful for their wonderful, super fabulous cracked premium extension. The Facebook Social Toolkit is very easy to use, I think it should be a must have Extension for users that love Facebooking, and most especially bloggers. With this latest Facebook social Toolkit, you can enjoy any huge or mass work/function you wish to carry out on Facebook within short time. Read on to use it, as it remains the best Extension for Google Chrome and that of UC Browser. 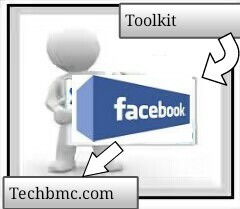 First, Download the latest Facebook Social Media Toolkit here. When done with the downloading of this Social Media Toolkit from the provided Link above, Now, extract the Zip file through any Extractor Software, and Open The Extracted Folder. When the going to Extensions Tab above becomes Successful, Simply Click on where you see Developer Mode option, and immediately it will Add one New option for Load unpacked Extensions. If the selection of folder becomes successful, then click on Ok button and you are done for that. After this stage, what we did will simply Install Facebook Social Toolkit in your Chrome browser. You can now Click on FST Icon, and Use any of the Premium Tools for Free of charge. Before enjoying the premium features, remember you have to login using your Facebook account, when that is done, click on Facebook Social Toolkit Icon again, and behold it displays Many Good and nice option, Just Select any Task you wish to run, and run it for free. To use any of the premium features when loged into chrome, then simply Click on any task under Premium features tab, and Facebook will ask you to enter your Email Address and verification key. 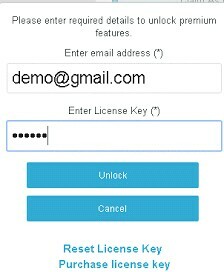 Here, just Enter any Random Gmail Address, and for the Licence Key Section, just enter any thing you so wish. After that has been done successfully, all the premium features will be unlocked, and You are good to go with any task you want to carryout. Download The Latest GPS Fake Location Toolkit. Get Paid When You Monetize And Upload Videos On Facebook Social Media. At times this very tool don't display or show access token which will be used to access some tools on Facebook. So all you need to do is to provide access token for this tool in order to access your ID. This very issue doesn't come always, just follow the below simplified steps in order to get your access token. first, goto Graph API Explorer. Generate the token according to your requirements. Just Add the token gotten into the tool and enjoy free features of Facebook social media. That's all for setting up this Facebook toolkit, next coming is how to use a script in adding mass friends to a Facebook group or page, without having to add your friends one after the other. Only stay tuned for more Facebook tips coming on this blog. For this particular guide/tutorial, just enjoy it and share with friends. Got any contribution or questing regarding to this post? Then use the comment box below, thank you.